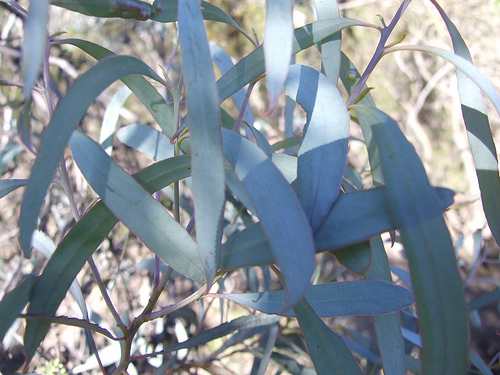 There are over 900 varieties of Eucalyptus and this Blue Mallee Eucalyptus is #1 in our opinion. It has the highest quantity of Cineol and Eucalyptol (88% to 92%), the chemical components that make Eucalyptus a decongestant and antiseptic powerhouse. Blue Mallee Eucalyptus was a powerful medicinal tool for the Aboriginal Peoples of Australia who inhaled it to clear respiratory infections and decongest lungs/sinuses. As well as using it topically to comfort sore muscles and disinfect wounds. NOTE: Contraindicated for use during pregnancy and for clients with epilepsy. SNIFF NOTES: Bright and clean with spicy notes of Cumin and a cooling touch of Mint. A much more sophisticated Eucalyptus compared to the standard bearer, Eucalyptus Globulus. Our Organic Blue Mallee Eucalyptus is complex and potent as a single note. It also blends beautifully with our Frankincense, Basil, Cypress, Tea Tree, and Cedarwood. 100% Certified Organic Essential Oil of Eucalyptus polybractea. STEP ONE: Add these essential oil drops to a small glass bottle. STEP TWO: Cap tightly and shake well. YAY! You just created your own BREATHE FREE SYNERGY. DIFFUSER: Add 2 drops of BREATHE FREE SYNERGY to your diffuser per hour / massage. TOPICALLY: Add 5 drops of BREATHE FREE SYNERGY to 1 ounce of unscented oil, lotion or cream. Mix together completely then apply to chest to decongest and clear sinuses and lungs. MUSCLE COMFORT: Take your BREATHE FREE SYNERGY and turn it into a Muscle Comfort Powerhouse! Just add these 4 oils (below). Shake well then dilute 6 drops of your new MUSCLE COMFORT SYNERGY into 1 ounce of unscented oil, lotion or cream. Haven't tried yet but the scent is wonderful. Just as it should. Click the button below to add the Certified Organic Eucalyptus, Blue Mallee Essential Oil, 15 ml (Half oz) to your wish list.